The Grange is an idyllic jewel, situated in the beautiful valley of Loweswater, amongst the Western fells of the Lake District. Within easy striking distance are also the mountains and lakes of Crummock, Buttermere and Ennerdale. The Grange has been owned and managed by the women of a local family for three generations. The present proprietor, Lorna Meadley, is an impressive example of that renowned traditional Cumbrian welcome and hospitality extended to all her guests. 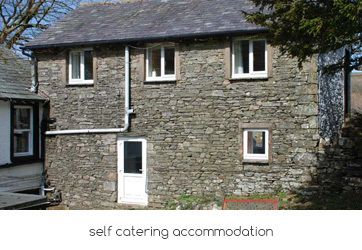 For those visitors contemplating accommodation in Loweswater the Grange presents a unique holiday experience-a caring personal service by a family run business, based in a glorious setting. 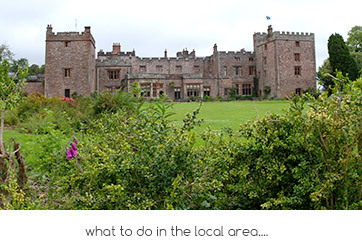 We are situated 4.2 miles from New House Farm the local wedding venue at Lorton and 2 miles from the Kirkstile Inn. We have stayed here many times over the last 20 years, starting with our honeymoon. We have always enjoyed the warm friendly atmosphere & good hearty home cooking. Over the years we have seen several changes & upgrades none more so than this time! Our room was beautifully decorated with high quality ensuite shower, very welcome after long days exploring the beautiful Loweswater valley. Credit/debit cards also now accepted!!! Can't wait to go back soon! My husband and I have stayed several times at the Grange and have loved every visit. Lorna and Keith are attentive and cannot do enough for their guests. We had tea and scones in the garden and many wonderful breakfasts. Stayed in Rm 1 which has a wonderful view and has recently been refurbished. This is a very relaxed hotel - a home from home. Would highly recommend them. I was in Cumbria for a couple of days on business and needed a place for 1 night B&B - not always easy in the Lakes. However, this was no problem to the owners here and I was made very welcome. The room was very clean and comfortable, and the breakfast was great. Thanks.